One day you might find yourself asking “what is it like to be a missionary?” In fact, that might even be why you’re reading this blog right now, to get a glimpse into the life. If you know a little bit already from various stories of the great missionary saints or maybe even the average people you encounter that have been “on the road”, your question might be something more like “What is life like constantly on the move, meeting new people everyday and proclaiming the Gospel?” Or, perhaps, you were just curious in general. Luckily, you’ve came to the right place to get an answer to all these questions. Our team has been on the road for 47 days and even though some people spend their whole lives in this type of ministry, I’m sure their answers would closely match ours. Being a missionary is waking up every morning and having to trust fall into God’s arms, trying over and over and over again to love and serve the people around you in every situation you’re in. When you’re in a new place everyday and the only constants in your life are a 15 passenger van, 10 people you just met, and prayer, you have to fight for that love and those relationships. Being a missionary is about love, loving Christ, loving others, and being able to pour everything out for that love. You never know when a situation will arise where you have to show and share that love. For our team, it happens in host homes, hair salons, doctors offices and everywhere in between. It’s on these days when our constant cry is “Lord make me an instrument of your peace” that we have encounters like one our team member Joseph had. He encountered a very disruptive youth on retreat, who during our time of prayer was making dirty jokes and distracting his neighbors. Joseph sat in front of him hoping that being “at listening distance would discourage him.” But the young man continued. Even though Joseph was frustrated he turned to him calmly and said “Hey, I’m Joseph, nice to meet you. Can you do me a favor? 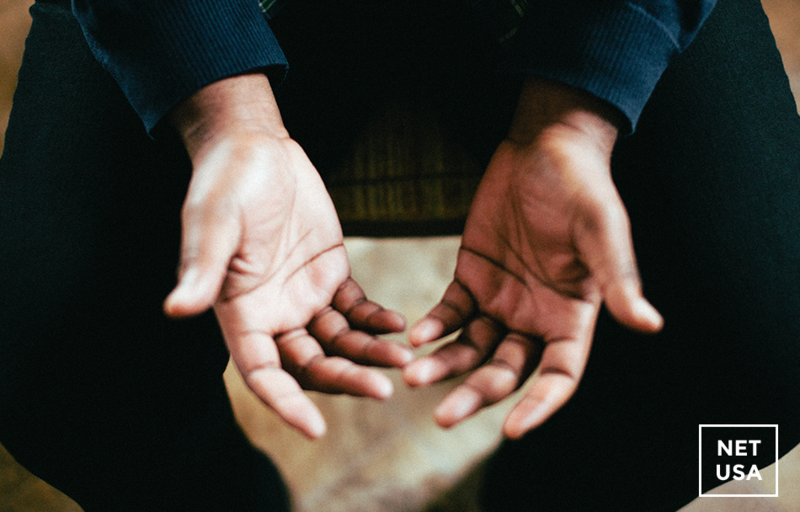 Can you be more respectful to the people around you?” The young man said, “Sure,” and then didn’t say another word for the rest of the time of prayer. Not only that, but he even knelt down on his knees so the young men around him would focus. So I guess that being a missionary is about doing amazing things every day but never truly being responsible for any of them. It’s about looking at those little miracles and exclaiming a loud “Praise you, Jesus!” It’s about learning to love God first, and then seeing Him in every single person you meet. Beautifully written and I understand more about the importance of your ministry. Glad You are learning that ministry does not make one better than others. JESUS CHRIST was always humble & dependant upon GOD. May HE continue to bless You and each You minister to. This was beautiful! Thank you for sharing your experiences and thank you for ministering! !